Garma Garam Chai(Tea); Jaipur locals stay refresh and refuel with snacks from street vendors and hot tea. If we had a national drink, then Adrak wali chai would win that title hands down. A cup of chai in a cosy morning or a lazy evening does wonder to one’s mood. Whether it’s grizzly winters or pouring monsoons, tea lovers will never say no to a hot cuppa at any time of the day. 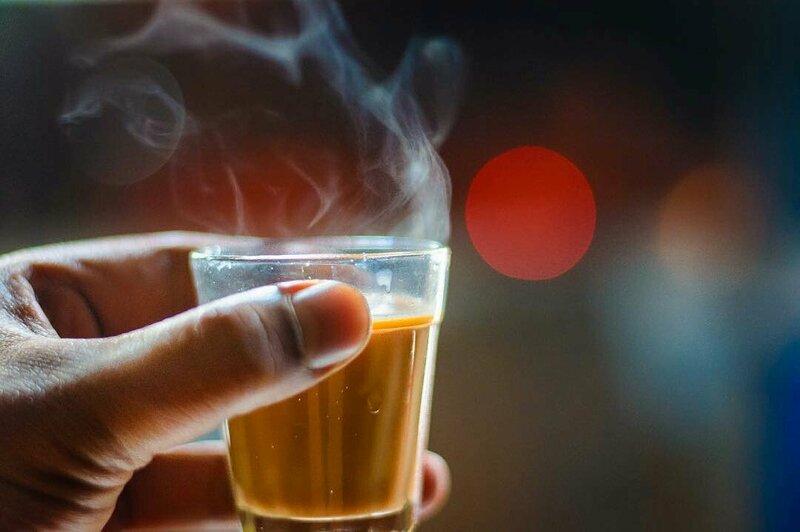 A sip of the milk, sugar and tea leaves blended hot liquid brightens up the mood and refresh the hell out of us. It makes a good start to the day too. 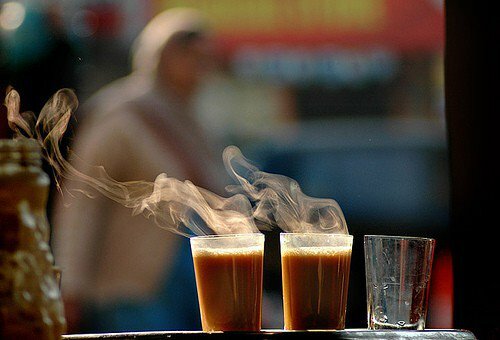 And while earlier most tea drinkers preferred to have a cuppa either at home or from a local tea shop, tea cafés have become a growing trend in Jaipur with time. No matter whichever season it is, tea lovers just hunt for a cup of tea wherever they go. They love to sit over a cup and start their long due conversations with friends and acquaintances. Jaipur has a strong bond with tea. It is the only city where the word ‘cutting’ is added before ‘chai’. ‘Cutting chai’ is nothing but half-filled glasses of strong milk tea. Yet this ‘nothing’ liquid is more than a cup to Jaipurites. For them, the sip brings utmost pleasure and refreshment. ← Samode Palace; one of the top heritage hotels of Samode to witness the opulence & elegance of a bygone era.